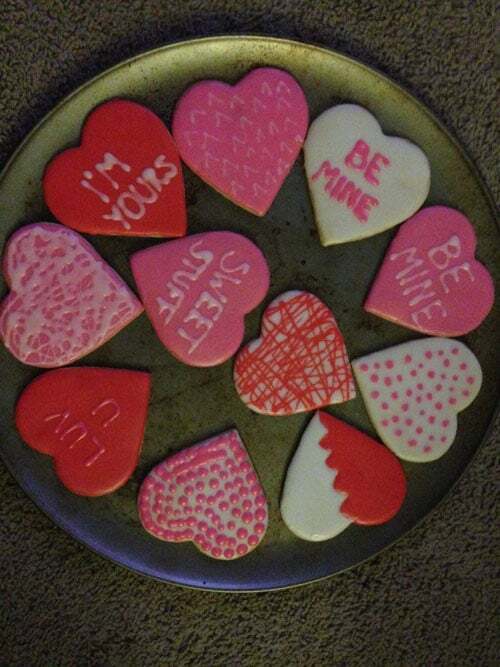 Valentine’s Day just passed and we had another occasion to make our family’s favorite cookies. This recipe was passed down from my great-aunt. I have made countless dozens of these cookies over the years for Halloween, Christmas, Valentine’s Day, Easter, St. Patrick’s Day and just about every other holiday you can think of. The kids’ involvement in every part of the process is the best part of this tradition. They started at a young age helping to make the dough, cut out the shapes, bake and decorate. My kids are grown now and are carrying on the tradition. Hopefully, one day there will be grandkids to start the cycle again! -From the kitchen of Paddy Wainright. 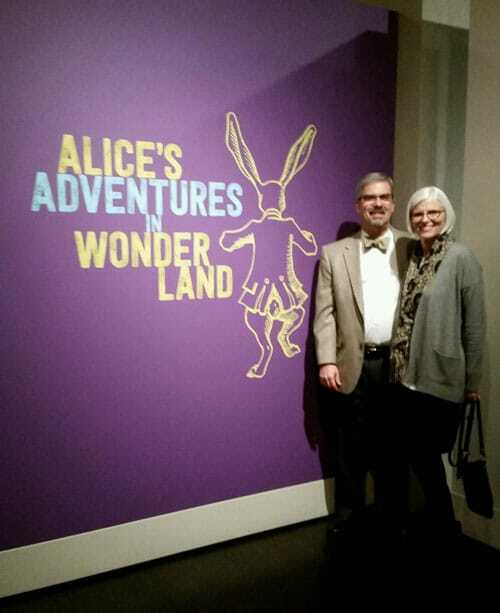 Austin, Texas presents the Harry Ransom Center exhibit, Alice, opened on February 13th. The exhibit celebrates the 150th anniversary of Lewis Carroll’s work, Alice in Wonderland and its’ many incarnations over the years. The collection is extensive and very satisfying. Fabulous wall displays can serve as background for great photos with friends and family. Check out the video! 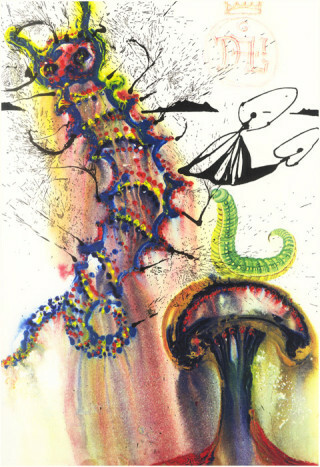 The Ransom Center presents the history of the printing and illustration of the books that include some amazing watercolor illustrations by Salvador Dali. My husband, Charles, and I always enjoy the opening night of each new exhibit. The “Alice” collection on view now is a delight! 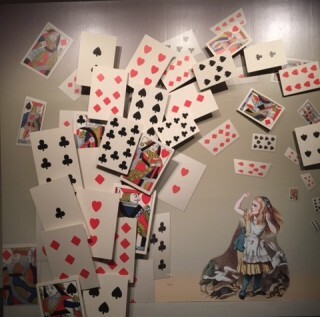 The Ransom Center website has information about programs for children that allow them to experience the unique world of Alice in Wonderland. Treat yourself and your children to a bit of history and adventure in Alice’s magical world. Join 12 Oaks Dental in supporting CHD (Congenital Heart Defects) Awareness Week February 8th – 14th. Meet Miss Kielyn, she is 19 months old and she was born with CDH. This sweet, brave baby has already had two open heart surgeries and will have to deal with this life long disease. Each year, in the U.S., approximately 40,000 children are born with CHD. There are over 40 types of Congenital Heart Defects making CHD the most common type of birth defect. There is currently no known prevention or cure for CHD, however with early detection and treatment the survival rate is now improving. 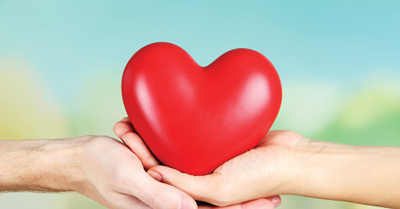 If you would like to get more information or make a donation, The Children’s Heart Foundation and Heart 2 Heart are great resources. If your family or friends need a support group here in Austin, please visit MyMilagros, Uniting the Central Texas Congenital Heart Defect Community. You know that regular brushing and flossing can help keep your mouth healthy, but did you know that a healthy mouth could also mean a healthy heart? Each February, Americans observe American Heart Month, a time to educate ourselves about the risks associated with heart disease and analyze our own habits. 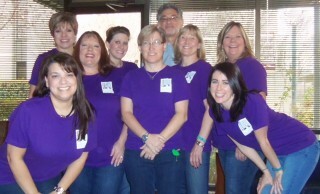 At our dental office in Austin, we’d like to do our part and talk about the connection between mouth and heart. When we talk about the connection between mouth and heart, the first thing that comes to mind is gum disease. Gum disease is a dangerous disease that, if left untreated, can lead to heart concerns. According to the Academy of General Dentistry (AGD), gum disease has a direct correlation to an increased risk for heart attacks. What’s more, many whole-body problems tend to show the very first warning signs in the mouth, which makes regular appointments with your dentist in Austin even more important. If your lifestyle factors put you at risk for heart disease, or if any of the signs of gum disease sound familiar to you, call our Austin dental office right away. Early detection of gum disease not only means a quicker treatment plan, but can also help keep your heart healthy. Don’t put your heart at risk. Accepting patients from Austin, Westlake, Cedar Park, and nearby towns.